I try to be a nice blogger, but I'm going to yell for just a moment here. 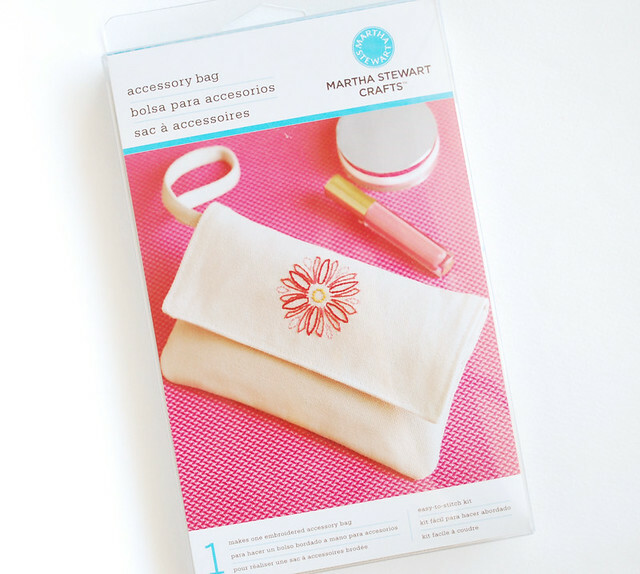 WHY DIDN'T ANYBODY TELL ME ABOUT THE NEW MARTHA STEWART EMBROIDERY KITS????!!!!??? 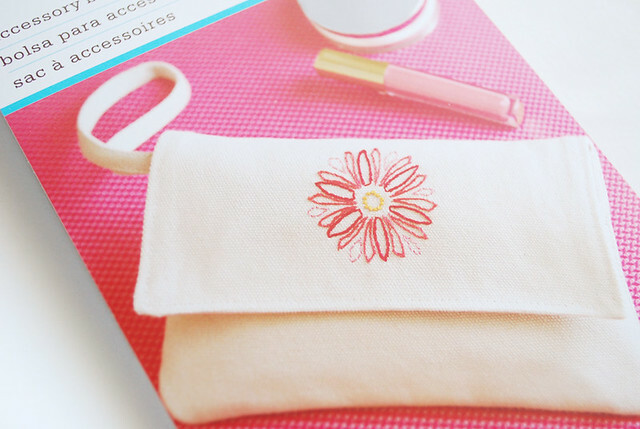 I picked out an accessory bag pre-stamped with a sweet little flower. I've yet to start stitching, but I'm really excited about this. Take a look at what is involved. 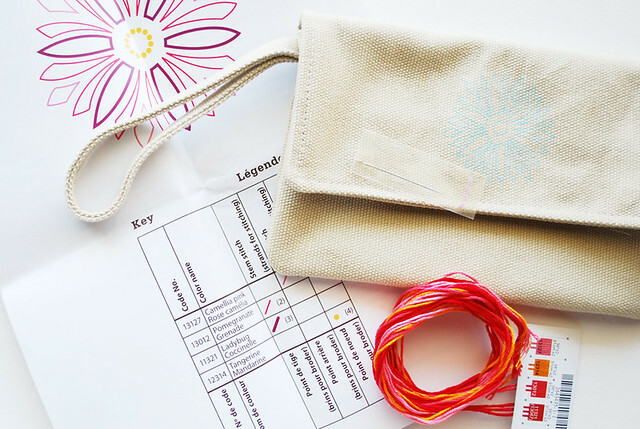 You get the stamped bag, embroidery floss, a needle, and stitching instructions with a full diagram. 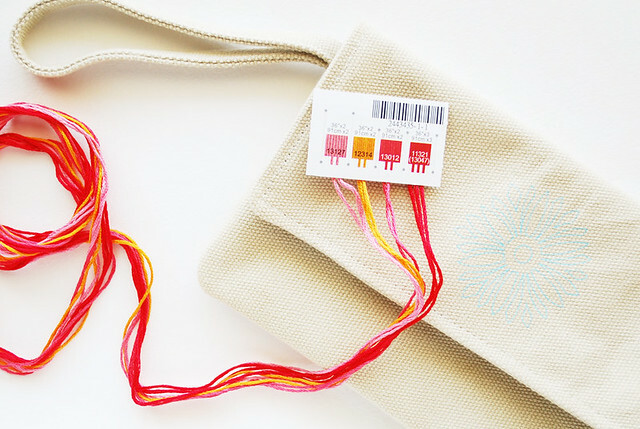 Inside the bag is the main pouch, with a smaller pocket, and I'm personally thrilled to have the Martha tag in there. I love that! 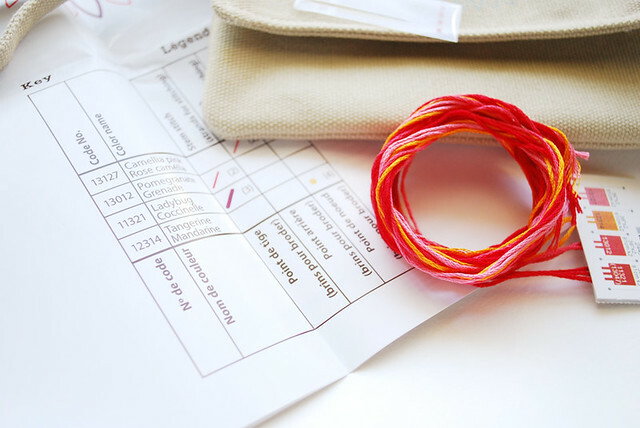 I also really like how they have tagged the embroidery floss, and the chart they used to tell you how to stitch it. I'm not big into following specific instructions like these, but I love how they did it. With any luck, it will come out looking like this. My only concern is that, because the bag is completely made/finished, there's no easy way to hide your work within the lining. So basically, the back of my work will show under the flap. Unless I get tricky, which I might try and do. Once I get this made, I will probably go back for more kits. 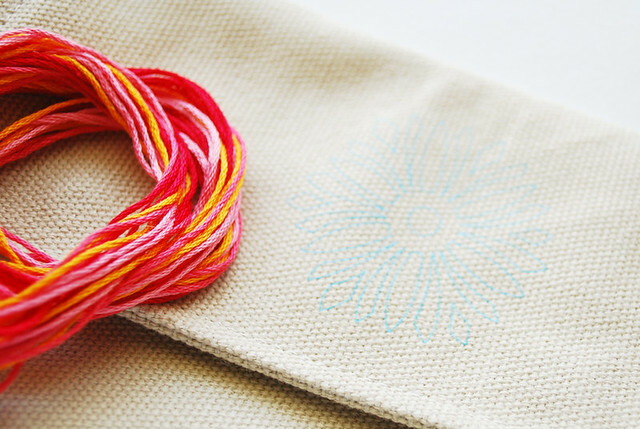 It's really nice to have something all ready to stitch, and not need to put too much extra thought into it. Or is that just me? And next time something fabulous becomes available in the embroidery market, tell me, okay? First I've seen of them too...thanks for the heads up, may have to swing past Michael's and check those out...be sure to post yours when you finish so we can admire it's cuteness! They were one aisle away from the embroidery floss. At least at the one I went to. Oh, this is bad. Now, I know where I will be heading to on Thursday after school. I hope they have some left! Ooooh, I didn't know about those either and I was just at Michael's earlier today. I totally would have looked for one of those kits, it is super cute!! Sorry Mollie, I'll have to side with everyone else. I never saw them at either Jo-Ann or Michael's. But I bet there are some that are really nice and fun. Mollie, do you remember when embroidery was new to you? Remember learning? Well, would these be too hard for a beginner? I seriously can barely sew a button on. 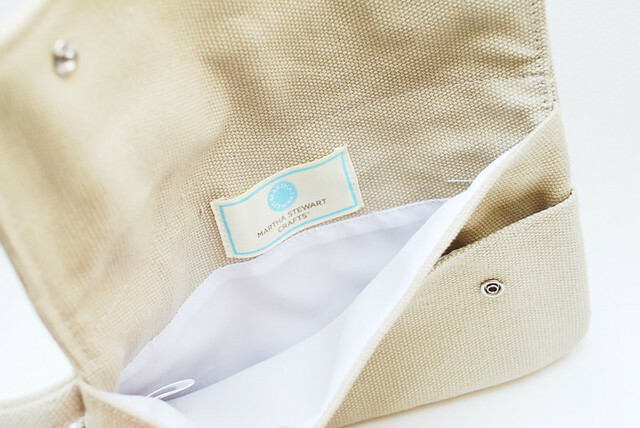 I love that bag, I suppose I wouldn't have to embroider it...or I could just hire you to do that for me!! ;) I'm not kidding. If you teach classes, I will come! Great. Now I want one, too! ;) How is Martha Stewart such a genius?? Man, I was JUST IN Jo-Ann's . 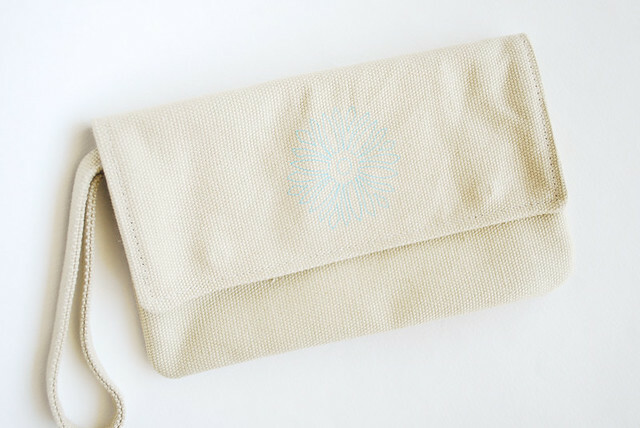 . .
That's a cute little clutch. I would have a hard time going with pattern on it. I might have to embroider on a separate piece of fabric and then hand stitch it on. I wouldn't like the messiness on the inside either. I will look for one of those kits myself. I work at a Michaels that doesn't carry them :( We are even the biggest store in Maine. Believe me, if we had the embroidery kits, I would have been all over them.